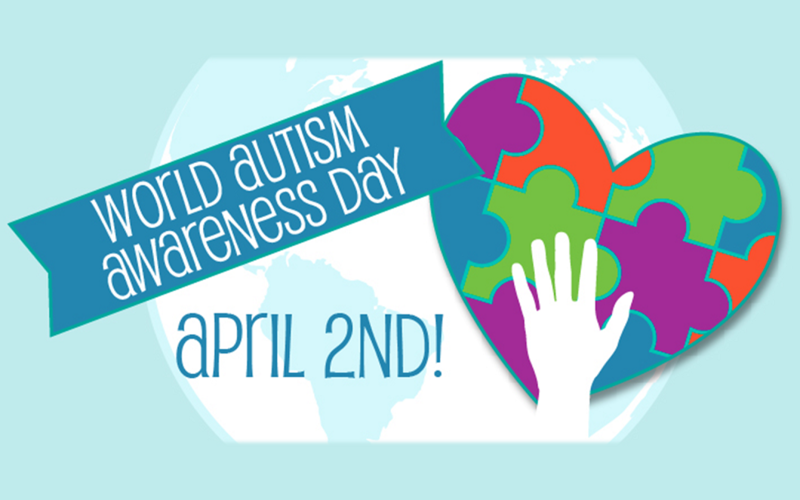 Today, April 2nd 2018, is World Autism Awareness Day. It matters a lot to me, because I have a son on the autism spectrum. Doctors used to call his version “Asperger&apos;s Syndrome”, indicating a different level of autism, but the 2013 dropping of the term from the American Psychiatric Association’s Diagnostic and Statistical Manual of Mental Disorders (DSM) indicates that Asperger&apos;s doesn&apos;t exist as a separate diagnosis anymore. Instead we now just say he is “on the spectrum”. Somewhere. What it means to have a child on the spectrum is probably as individual as the individuals who are on it, but there are some commonalities. My son is very high-functioning, which means that schoolwork is not usually an issue. He gets very good grades, and I don&apos;t have to micro-manage his homework. However, behavior is sometimes an issue. We do medicate him for his Asperger&apos;s, mixed with bipolar disorder. It&apos;s fairly common for “Aspies”, as many on his part of the spectrum call themselves, to have more than one diagnosis. This combination is also common. So he takes medication daily to mitigate the symptoms of his diagnoses. We&apos;ve struggled recently with getting his medicine right, where he can cope with the anger, the mood swings, the meltdowns, all without losing his personality. It&apos;s a tightrope, and sometimes he (and we) fall. It&apos;s a difficult life sometimes, and then sometimes it is, however briefly, idyllic. Those small glimpses of an easy life make us wish for another type of existence, but I believe we were chosen to be his parents and chosen to face this. We worry about his future. We&apos;re not sure he can go to college, not sure he can live by himself and care for himself. He&apos;s had one girlfriend, for a short time…will he find a woman who can love him through the difficulties? We worry about when we&apos;re gone. Will his brothers take on that responsibility or will he be on his own? Just this past week, I learned about a program at Texas A&M, my alma mater and my son&apos;s first choice for college to study engineering. They are piloting an autism community in one of their on-campus dorms, and are accepting 30 applicants for next fall. We still have some time to apply for college, but are very interested in this. The idea that my son could live in a community with others like himself, who would understand, and with others who aren&apos;t autistic but study autism and understand his triggers, concerns and issues…it really feels like at least a partial answer to my prayers about his future. Next fall, we&apos;ll take a trip to College Station to check out this new community and see if it will fit his and our needs. The concerns are very real, but so too are the rewards of being his mother. My son is incredible. It&apos;s hard for other people to understand, how I can think he&apos;s so amazing when he&apos;s sometimes so difficult. But he is fantastic, and I adore him. He is so intelligent, so well-spoken, so self-aware, and yet so stubborn, so has-to-be-right, so literal. I can&apos;t imagine him any other way. If I could suddenly “cure” him of autism, would I? That hypothetical future would take some serious thought. Would he lose any of his intellectual capacity? Would he lose his sense of humor? Would he lose the incredible insight into himself? If so, I couldn&apos;t take those things away…it would take him away. If you know someone on the spectrum, please support them. Know that they are not doing anything on purpose, but are caught up in a world where they operate as a “neuro-untypical”, where the norms are different than their own tendencies. Give them some grace, and possibly a little space, both literally and figuratively. If you know someone who is a caregiver of an autistic person, please support them. Know that they are doing the very best they can at any given moment, and that your smile and hug will mean the world to them. They judge themselves harsher than you can, anyway. I always remember an old adage, which I&apos;ve seen attributed to Plato. “Be kind, for you do not know what great battle others are fighting.” In the case of autism, the battle is always great, and your kindness could make the difference in their life. Kindness always matters.